On Sunday afternoon, I attended a spirited conversation of clergy and formerly incarcerated persons discussing the importance of spiritual care and sacred space in institutions of incarceration. The Dane County Jail is about to undergo long overdue renovations with a price tag of $76 million. It has come to the attention of chaplains and community members that current plans do not include dedicated space for worship or other religious gatherings. On one level, this erasure of sacred space from the jail could be seen as another example of the departure of religion from public life and a sign of its waning significance in American culture. With fewer people participating in organized religion, why bother spending money on a space dedicated to worship and spiritual reflection? Religion and spirituality are simply a lower priority than other uses—such as mental health, physical fitness, and the like. But I think there is something more significant at play. One of the themes that emerged from the panel discussion was the uniqueness of sacred space in an institution of incarceration. “Sacred” comes from a Latin word which means “to set apart.” In an institution where every aspect of one’s life is monitored, where one has no privacy, no silence, where surveillance is constant and absolute, having a place apart from that where one can attend to one’s spiritual needs without interruption or intrusion, is space that is at least for a brief time each week, free from the power of the carceral state. In sacred space, people can sit, pray, worship. They can be still and know God. They can listen to the rhythms of their hearts, the yearnings of their souls, without the distraction of noise from people in the surrounding bunks. In sacred space, they can sense the moving of the Spirit in their lives, and respond accordingly. In sacred space, they can draw strength from others who are seeking the same solace, and receive counsel from supportive chaplains. Representatives of the Sheriff’s office argue that there simply isn’t enough space, that other needs take precedence—medical beds, mental health, addiction. To separate out spiritual needs from other needs is misguided and unfortunate. In many cultures, spiritual health is deeply connected to mental health and physical health; one can’t heal the body without healing the soul, and if the soul doesn’t receive the attention it needs, neither body or mind can be fully healed. It was clear from the formerly incarcerated people who spoke on Sunday, and clear too from my many conversations with formerly incarcerated persons, that many interpret their journeys spiritually, that they see the decisions they made that brought them into contact with the criminal justice system, and their experience in prison and jail, in spiritual terms. They see God at work in their lives, or their punishment as connected with their own sins and God’s forgiveness. To deny them space in the Dane County Jail to process their lives spiritually, to connect with others who are sharing similar journeys, and to find the solace provided by a religious tradition, is to rob them of one of the most important resources they need to transform their lives. It’s unfortunate that the Dane County Sheriff’s Office and our Dane County elected officials do not care enough for the men and women incarcerated here that they are willing to commit resources to meet the spiritual needs of jail residents. The Capital Times’s coverage of the Sunday event is here. More background from Isthmus here. The campaign to accommodate spiritual needs at the Dance County Jail has a facebook page. Such statements don’t surprise me anymore. Most Madison residents who walk the sidewalks of Capitol Square are on their way somewhere, to work, to a restaurant or concert, to the Farmer’s Market or a demonstration, or back home. When we walk like that, with a destination in mind, we rarely take time to notice our surroundings. Our attention is diverted from our journey’s goal or our iphone screen only if something in our peripheral vision distracts us, something new or different, a door that’s opened, beckoning us into unfamiliar space, when every other time we’ve passed by, its been closed. Even so, if the door is open and we notice it, will we take the opportunity to walk in, to encounter the space hidden behind those heavy, wooden doors? Likely not, after all, we’re not just out for a stroll. We’re on our somewhere, to work or home, to the Farmer’s Market, or returning from the market, carrying heavy bags full of vegetables. We don’t have time or the inclination. We might even think that the invitation of an open door is not meant for me. I was walking down 14th St. in Washington, DC, enjoying the unseasonably warm weather on a November day, awash in the various sights and sounds of an unfamiliar city. As I walked, I passed by several Protestant churches in various states of repair—United Church of Christ, Lutheran, Methodist, Baptist. They were all imposing edifices, reminders of a time when mainline Christianity was at the center of American culture. All of them showed in their fabric the transformation of America and of Christianity in the decades since they were built. There was evidence of the crisis of homelessness in urban America, both in the services that these churches were providing and in measures the churches took to restrict homeless people from sections of the property where they were unwelcome. Most, if not all of the churches announced somewhere in some similar language: “God welcomes all” or “All are welcome.” One of those signs hung on the side of a church behind a high iron fence with padlocked gates. On weekdays, except for the homeless congregating around them, all of these churches looked forbidding and foreboding. Just as commuters and tourists passed by quickly without a glance, these churches were further evidence that American culture had passed them by without a backward glance. The same was true in other cities I visited—Richmond, New York City, Boston. Boston (or Cambridge) fascinated me in that respect. It’s a city I once knew well, having lived there from 1982 to 1991 and having walked the streets of Cambridge, Somerville, and Boston countless times and for hours on end. I remembered many of the churches I walked past this week, in Harvard Square, down Mass Ave to Porter Square. It occurred to me that I could have made the same exclamation had I entered any of them this week. I remembered walking past them but had never entered any of them. The number of churches I actually had visited in my decade or more in Boston was relatively small, the number I had worshiped in was even smaller. What I did remember was the response I had in the 80s while walking past many of these churches. It was the same response I had in 2016 while walking past churches on 14th St. in Washington. I assumed the condition of the exterior was evidence of the vitality and vibrancy of the congregation that worshiped there. Certainly, disrepair is clear evidence of the financial resources available. I know all too well how expensive maintenance and upkeep of large, historic buildings can be, how demanding of congregational time and energy, as well as money. Often, we look at such buildings with sadness and regret, mourning the passing of an era when the buildings were full of life and built to provide space and programming for large and growing congregations. We assume that the buildings were created of that magnitude in order to accommodate present congregations and anticipated future growth. That’s not always the case. When I was studying for my M.Div at Harvard Divinity School in the mid 1980s, I did my Field Education at a mainline Protestant Church in Boston’s Back Bay. The building was on the National Historical Register. Its architect was H.H Richardson (no, it wasn’t Trinity Church, Copley Square); the friezes on its tower created by Bartholdi, the sculptor of the Statue of Liberty. It was proud of its Tiffany windows, its long history, its architectural pedigree. When I was there, Sunday attendance averaged in the 40s and it was easy to imagine Sundays decades before when the sanctuary seating around 800 was packed full. In fact, its history was very different. 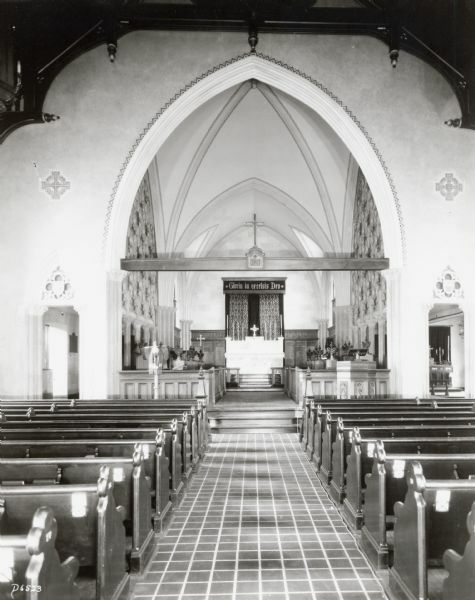 In fact, the building was built by an already established Unitarian congregation that wanted to relocate in the newly developed and very fashionable Back Bay after the Civil War. But the design and construction were far beyond the congregation’s financial resources and it went bankrupt during construction. Completed in 1872, the architectural landmark stood empty and unused for a decade, until a Protestant congregation purchased it and moved in. In subsequent decades, other congregations from that denomination merged into this congregation as demographic patterns shifted. Certainly, it had thrived over the decades but it had never fully occupied the space it had purchased in 1882. Likely similar stories could be told of mainline congregations across the country, large, beautiful buildings constructed in a time of optimism and growth, built to attract people moving into nearby neighborhoods. Boston’s Back Bay is a prime example of this. Within a few blocks are two Episcopal churches in addition to Unitarian, UCC, Presbyterian, and American Baptist. In a few blocks, the status, wealth, and marketing efforts of 19th century mainline Christianity is on full display. Whether such buildings and the congregations that inhabit them will survive is an open question. But it’s also important to recognize that buildings in relative states of disrepair do not necessarily tell the whole story or reflect the vitality of the congregation that worships there. I was reminded of this when I visited St. James Episcopal Church in Porter Square, Cambridge. It was one of those churches I was thinking about earlier when I wrote about passing them by. I leaved near Porter Square for most of the time I was in Boston. For about a year, my commute took me more or less directly past St. James. I never entered it or worshiped there. That same year, one of my roommates did attend regularly. He loved the worship and the warm community. St. James has considerable architectural interest. From the outside it seems to be in considerable disrepair. Certainly, its parish house is rundown, and it is surrounded by an overgrown and unwelcoming garden. In contrast to the uninviting aspects of its buildings and garden, St. James also shows signs of vitality to the community. A permanent Black Lives Matter sign stands as witness on the Massachusetts Ave side of the property and near the main entrance to the church. Around the side and back of the property construction is underway. After talks that began in 2007, construction has begun on a condominium development in which St. James is a partner. In additional to market-rate and some affordable units, St. James will have a new parish hall and a significant start on an endowment for ongoing building maintenance. . A newly configured garden will welcome passersby into space that is inviting and offers respite from the busy streets of the neighborhood. I have no doubt that when I walk past St. James five years from now, I will see a building and property that are welcoming and inviting to passers-by; that the vitality of the congregation will be on full display seven days a week and that its property will be a spiritual haven in the midst of a busy city. The church I attend now is two thousand miles away. We take communion every week, walking down squeaky hardwood floors—all one hundred twenty of us—past stained glass windows, toward the giant cross behind the stage. The smells and history and personality of this building shape my experience of worship, too. The strong wine a regular testament to the shock of the resurrection; the pews an invitation to sit close to the people I don’t know but already love; the constant, drafty chill a reminder of the building’s history in a city where everything else seems new. There is a sense in the room that we are surrounded by people who are not there, and if I don’t quite mean ghosts. I also don’t mean just those who are alive and present. It is full of that great cloud of witnesses that has filled the sanctuary for a century before us. Steve Swayne ponders the differences between what he labels “stadium” and “sanctuary” culture. Thinking about the way people milled around a college commencement ceremony, he connected that behavior with “stadium” culture. He much prefers “sanctuary” culture. And beyond lower blood pressure and better health outcomes, sanctuary culture at its best forces us to see and hear more of the world around us. It helps us to see and hear that world better. And if the history of lectures and libraries and liturgies shows us anything, the deliberation inherent in sanctuary culture, more than the carnivalesque nature of stadium culture, holds the key to make our world better than it is today. Just a couple of quick observations about that. First, I’m not sure that “lectures” participate in “sanctuary” culture, or that they have for thirty years. I remember a class at Harvard for which I was a Teaching Fellow in 1987. The class enrolled almost 1000 undergraduates and we often remarked that the room was never quiet. Students were always coming and going. And the idea that people sit quietly in church or concert halls is a relatively recent phenomenon as well. 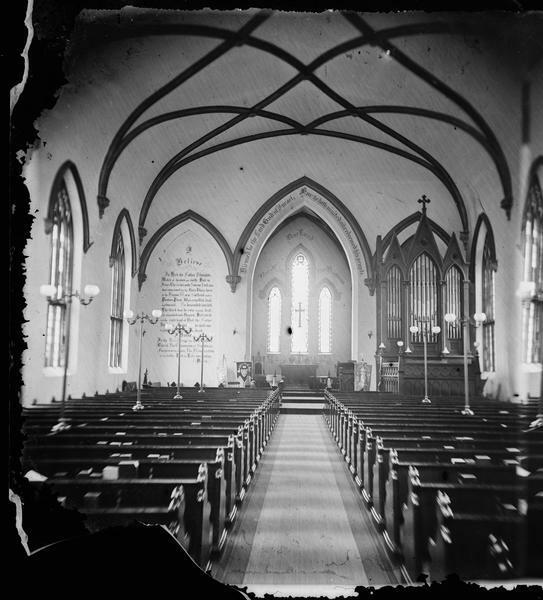 Pews only came on the scene in the fifteenth and sixteenth centuries and we know from sermons throughout the preceding history of Christianity that preachers complained bitterly that their congregations were milling about, coming in and out, engaging in conversations (even transacting business deals). And I wonder what Swayne would think about the phenomenon of Social Media Sunday? At the same time, physical space does shape us profoundly and helps to form us as human beings and as Christians. Worshiping in something that looks very much like an auditorium or movie theater invites behavior appropriate to those places. But as our conversations are taking place, there are larger conversations that we should tune into from time to time. Conversations about the use of space for example. In Columbus, OH, an Episcopal parish has reached agreement with Ohio State University not to build student housing on its land. You can read about it here. They’ll receive almost $13 million from OSU. 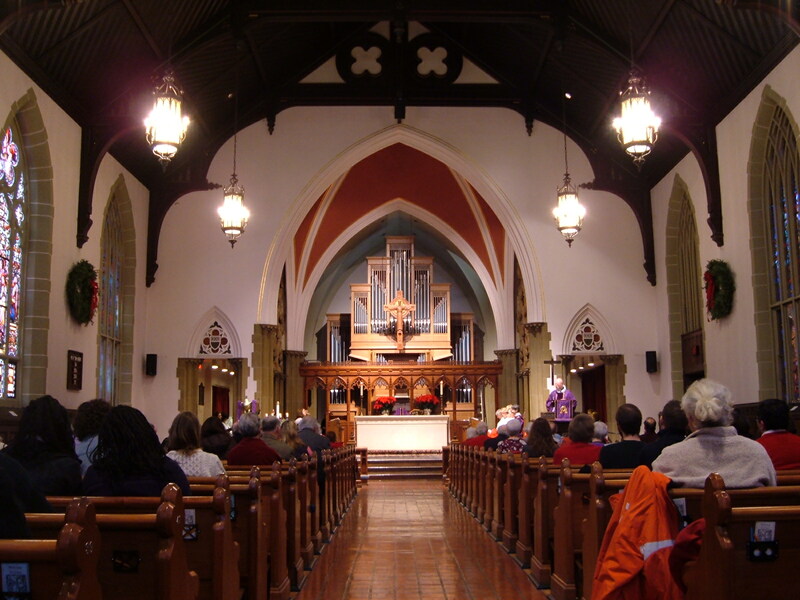 In New Jersey, a closed Episcopal Church has been designated a historic landmark by City Council of Jersey City, making the demolition (desired by the diocese) a more difficult process. It’s been closed since 1994 and while historic preservationists are eager to “protect” it with landmark status, they’ve apparently been less interested in buying it from the diocese. Metropolitan areas today are mosaics. In an ever more complex and competitive global economy, every part of a region, city and suburb, needs to know its role on the team and bring its A-game. Just as there’s no need for every job to be located downtown, there’s no need for every major piece of sacred space in a region to be replicated in every suburb. Downtown does just nicely. However, this is one reason that while economically the core may no longer dominate a region, a healthy center still plays a key role in overall regional vitality. That’s because it remains home to things like the major pieces of sacred space such as war memorials and cathedrals that bind a region together and give it civilizational permanence, meaning, and purpose beyond the mundane. As I’ve previously mentioned, we are working on a master plan for renovations of Grace Church. Part of that plan includes conversations about how to make our beautiful courtyard garden more accessible and welcoming to the public. A couple of recent articles may offer insight. As more and more educated Americans, especially younger ones, are looking to move downtown, seeking alternatives to suburbs and cars, they’re reframing the demand for public space. They want elbow room and creative sites, cooked up by the community or, like the plaza program, developed from a democratic mix of top-down and bottom-up governance. The first draft of Grace’s Master Plan was released this week. You can read more about that here: gracebeyondgrace.net. On the surface, the master planning process seems to be all about physical plant, renovations, and the like. But underneath it all are fundamental questions about mission. What does it mean to be God’s people in this particular place, Madison’s Capitol Square? The Master Plan envisions a courtyard garden that remains beautiful but also becomes a place for mission and worship. With a labyrinth at its center, with opportunities for gathering, and with less permeable barriers between inside and outside, the garden would invite spiritual and human relationships. 1) How do we use our spaces to help our neighbors connect with God? Whether or not they ever join Grace Church, can we invite those who live, work, and play in downtown Madison to find at Grace ways to explore their relationships with God? How do we also create opportunities for them to share Christ’s love with the world? 2) And how do we move from those initial connections and encounters with the divine to deeper relationships? How do we invite and encourage people to join with us as we seek to know God more deeply and to follow Jesus’ call more closely? How do we create opportunities for bible study, formation, and discipleship that are appropriate to the twenty-first century? 3) What is appropriate stewardship of our physical resources for the 21st century? Is it appropriate to have so large a worship space, located so centrally to Capitol Square, that is used so little on a regular basis? 4) How can our worship extend beyond our walls to help people encounter God in their daily lives and help people encounter God who would never imagine attending Sunday morning services? Others are raising interesting questions about space as mission. I like the metaphor of the front porch, an intermediate space between street and interior, a place for casual interaction that might grow. How can churches build the front porch, creating a space where people can develop relationships before coming inside? We’ve got one, it’s our courtyard garden. How can we make use of it? Indeed, it may not make any sense at all to pour limited resources into buildings used for a few hours on Sunday when what the neighborhood needs is a retreat house, a day care, or a community garden. That doesn’t mean we stop creating places to celebrate Sunday Mass. It just means that maybe we do it in buildings tied in new and creative ways to the works of justice, mercy, and freedom the Eucharist calls us to in the places we find ourselves in. We’ve been having a lively conversation about sacred space at Adult Forum on Sundays, about where we find it, what it is, and then we moved into talking about the understandings of sacred space in scripture. Our conversations are part of the master-planning process Grace Church has been undergoing for the last year or more. You can learn more about that process here. Many of my own reflections on Grace’s unique role as the church on Capitol Square can be followed here. I think that one of the most important secondary roles that the church plays in the neighborhood is to help redeem the notion of community. Whatever else I’ve already said about the specific attributes of shalom, underlying all of them is an implicit commitment to some aspect of a common life that is lived out in the common spaces of the community. It is getting increasingly difficult for members of society to articulate on what basis this common life exists. I think that the church in the neighborhood could exert this kind of centripetal force on a neighborhood if it was cognizant of the value of this role. In order to do this, a church would have to have a pretty strong sense of its physical connection to its neighborhood. This perspective would have been taken for granted when there was a stronger sense of church parish in the community. Unfortunately, many churches have completely lost any sense for how to do this. Many churches have adopted the suburban campus model that places its buildings in the middle of a large parking lot and is completely cut off from the fabric of the neighborhood. Or older churches that are more embedded in a neighborhood often develop a kind of fortress mentality toward the neighborhood in which they are located. We are now two years away from the protests of 2011 which were, in many ways, a spontaneous outburst of community–people coming together around a notion of the common good. I’m struck by the way the State Capitol has been transformed in those two years. The actions of recent months on the part of the politicians have transformed the Capitol into a fortress. It certainly is no longer “the people’s house.” And our common life has suffered for it. Grace Church served a unique role during the protests. For a few weeks our open doors were both a witness to a shared common life and a haven of respite for many. Among the key questions we need to ask ourselves as we talk about our physical spaces is how we might make those spaces available for the whole community, and how our physical spaces might witness to the good news of Jesus Christ and to a vision of a common good.